If there’s anything mother to three-year-old Alex Jazz and Kapuso artist Jennylyn Mercado learned from her past hurts, it’s that she should always put a limitation when it comes to love. “Sobra kasi ako magmahal. Hindi naman sa ngayon di ako nagmamahal masyado. Hindi naman ganun. Parang kailangan laging may limitations,” she told Yahoo! Philippines OMG! and other members of the press during her contract signing with Polyeast Records last week. “Number three, opo. O, di ba, number three lang ako?” she quipped. In fact, Jennylyn brought her son to her Polyeast contract signing to spend more time with him. “Kung pwede kong isama si Alex Jazz, sinasama ko except kung 24 hours ang taping na magulo ang set. Ayoko siya isama sa mga ganun pero yung mga ganito, pwede kasi kahit papaano gusto ko syempre magkaroon ng time for him,” she said. 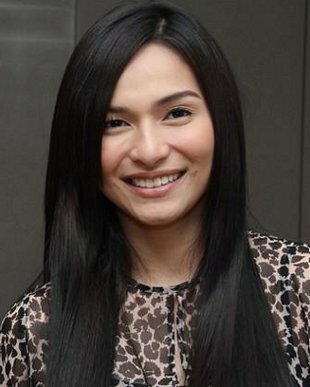 Jennylyn shared unlike before, her love life no longer affects her professional life. “Alam ko priorities ko. Kasi dati, di ako magta-taping kasi nag-ayaw kami. Ayoko na ng ganon. Ngayon, hindi na,” she said. Jennylyn is in a relationship with Luis Manzano. Since her love life is not her top priority right now, does she think her relationship with the Kapamilya actor-host will last? “Let's see... Basta ngayon, alam ko na yung priorities ko,” she said. Nonetheless, the “Showbiz Central” host said her relationship with Luis is making her become a more optimistic person. Two years after the release of her last album “Love is...,” Jennylyn is planning to return to the music scene as she records her fourth solo album, this time with Polyeast Records (she has done albums with Viva and GMA Records). Why did she choose Polyeast this time? “Isa sila sa mga magagaling mag-alaga and mag-handle ng artists,” she explained. But career-wise, Jennylyn said acting remains her number one priority, with singing being the second. Jennylyn is slated to do a movie with GMA Films and Regal Films. She will also star in a GMA-7 soap opera second quarter of this year.